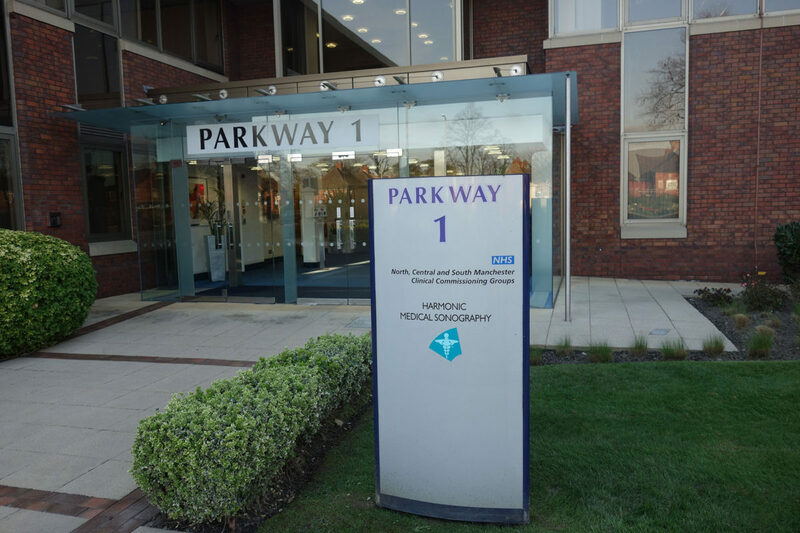 Harmonic Medical Sonography is located on Ground Floor-Parkway One, Parkway Business Centre just at the edge of Manchester City Centre along (the A5103) Princess Road, one of Manchester’s main arterial routes. We are easily reached from all areas of Greater Manchester and beyond. Find us here. The building is (DDA) compliant; it provides access through wide doorways, wide corridors, no steps and can easily cater for various mobility equipment such as wheelchairs, motability scooters and trolley beds. Our facilities include ample car parking, separate male, female and disabled users’ toilets. When you arrive at the Parkway Business Centre, friendly and helpful personnel will ensure you get into our suite with ease. You may choose to wait in the sparkly relaxing lobby where we can come to collect you into our suite. Let us know if you have any specific requirements, we are here for you.